How long does it take to form blog post idea? Often ideas an just pop into your head and you don't get the chance to write your thoughts down properly. Have a notebook and pen at hand, when you're out and about. I've mentioned this is in a couple of other blog posts. Scribble down ideas that pop into your head. Yes even past notes you taken can help you think of new ideas. 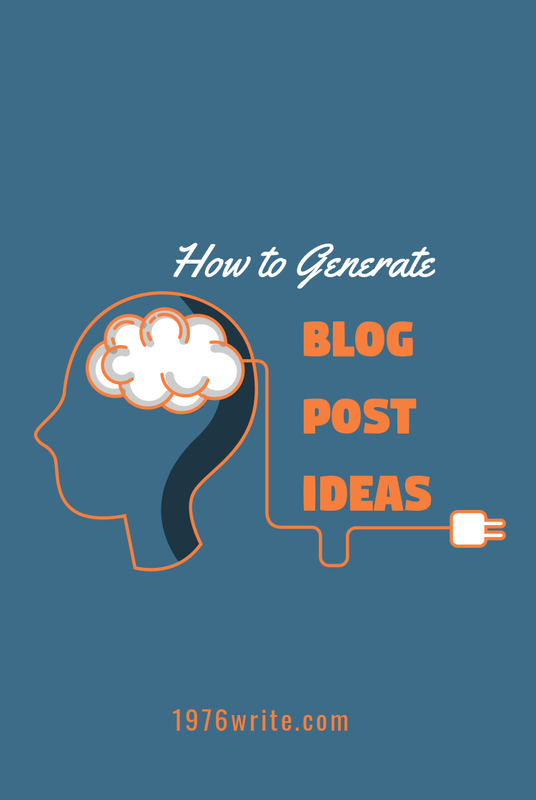 Often a number of ideas will bring you to one conclusion, when you're thinking of new blog post ideas. Start writing your draft early, it may help to shake some things loose in your brain. Once you start on one idea, your imagination will take hold, and do the rest for you. Favourites lists can be really handy, especially when you're all out of ideas. By having a collection of posts at hand, you can run through them and take your ideas from there. Run your post ideas over with family and friends to see if there's anything you may have missed. After all of your thinking, note taking and drafts have been done, you can sit down and write your final draft, tweaking it if need be. From one simple idea, you may have discovered a series of posts instead of just one. You can sit back and relax, until your next articles need to be written. Tell me your thoughts on blog post ideas in the comments below.